A few weeks ago, a clip of President Donald Trump and First Lady Melania Trump interacting on Inauguration Day made the rounds, suggesting that there may be icy relations between the two. 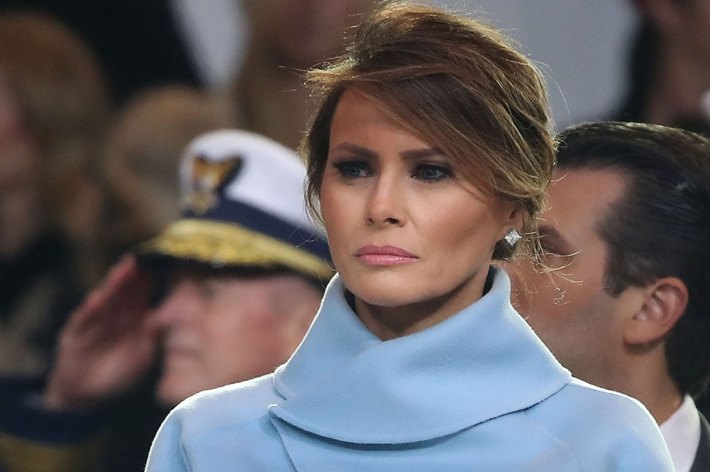 Now, a new report in Us Weekly gives additional insight into what may be going on behind the scenes: Melania is apparently “miserable” in her role as First Lady. Citing a Trump “family source” — as well as family friend and stylist Phillip Bloch — the report claims Melania is “unhappy” with the added pressures and scrutiny that come along with her new life in the political spotlight. She reportedly never expected to one day be serving as First Lady when she moved to the U.S. in 1996 to pursue fashion, and has largely been holed up in her $100 million Trump Tower apartment since the inauguration.